Fire alarm systems are in place to do two major things; detect fire and alert occupants of the fire while giving them enough time to vacate the area. It is ideal that these always function properly and detect fire, but there are a few situations where that is not the case. Fire alarm systems are a critical line of emergency avoidance, but what happens when a system fails? In research done by ORR Protection Systems, 3,986 fire detection systems were quality tested, and it was determined that these detectors had a failure rate of 0.32% (Carter, 2008). This includes all smoke detectors, restorable heat detectors, and non-restorable heat detectors. While 0.32% may seem like a low percentage, that 0.32 can result in devastation. The conditions that lead to detection system failure can often be spotted, and there are several measures you can take to ensure your detection system is working. Prevent failure by understanding these common causes and what can be done to prevent them. The buildup of any of these, or a combination of them, leads to increased chances of nuisance alarms and reduced sensitivity of detection. If you never recognize the buildup of dirt or other materials, or perform routine cleaning procedures, the conditions could snowball and further deteriorate the accuracy of the detection system. High ceilings are common in commercial buildings, hotels, and hospitals, often making for a nice spacious and welcoming area. However, high ceilings can be a problem for heat and smoke detectors. As heat from a fire rises it can cool, which slows the activation of an alarm that is mounted on a ceiling. Additionally, when smoke stratification occurs it can create a pocket of smoke that sits just below the ceiling and hovers without triggering the alarm. Detectors positioned on ceilings also pose a problem for regular maintenance. The higher up on the ceiling or wall the detector is placed, the harder it is to clean and perform routine quality tests. Building codes require a minimum amount of fire protection safety equipment be installed, depending on the type of building. This requirement is put in place to provide a minimum level of safety to the building, which is necessary if the builder had no knowledge on what the space is being used for. We see this issue in office buildings and multiuse buildings, where the builder is not directly using the facility themselves. According to a National Fire Protection Association study, the leading causes of structure fires in United States office buildings are cooking and electrical distribution/lighting equipment (Campbell, 2013). A Facility Manager must have the proper knowledge on exactly who occupies their building, and what their business entails. A fully aware Facility Manager will act and adapt to have the proper fire detection systems installed for specific activities. 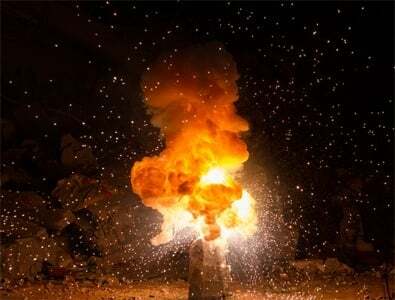 While it is not ideal to operate a fire detection system in conditions that are conducive to failure, there are actions that can be taken to catch and prevent failures before they occur. Annual testing will catch about 1 in every 300 units as faulty, and steps can then be made to eliminate the circumstances causing the failure (Carter, 2013). 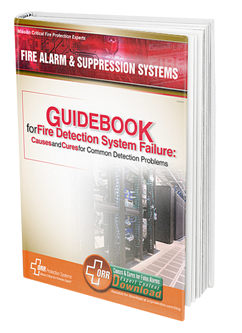 For more information on what to do when faced with a system failure or how to prevent one from every happening, read our Guidebook on the causes and cures for common detection problems by clicking the button below.